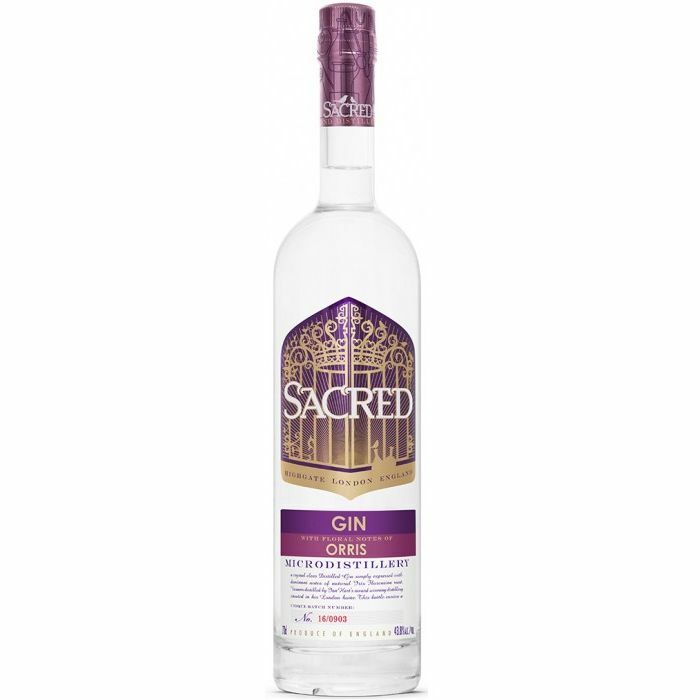 Sacred Orris Gin is unlike any other gin on the market, made to Sacred Spirit's classic London Dry Gin recipe but with over 90% organic Tuscan and Albanian Orris Root. This flavouring gives this incredible gin uses beyond the Classic G&T - Aviations, Breakfast Marmalade Martinis, Vespers and a light, floral and earthy take on any classic gin cocktail. Orris is usually used in gins as a fixative root where it integrates other botanicals, but here it is the star of the show. Scents of Parma Violets, Lilac and Rose all predominate in this delicate gin. Sacred Spirits is an award-winning microdistillery based in a residential home in London. Their unique small batch gins are made using vacuum distillation rather than a traditional pot still which gives a lusher and fresher result.